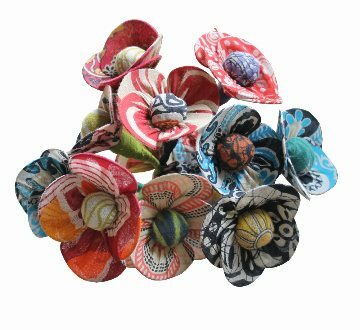 There are a growing number of thoughtful consumers who are looking for unique, ecofriendly gifts, gifts that last and gifts that do no harm to planet and people, green gifts such as these flowers made from recycled material are not only delightful they are fair-trade so the people who make them benfit from the sale of the products. Green Christmas gifts will delight the recipient with their originality and thoughtfulness. 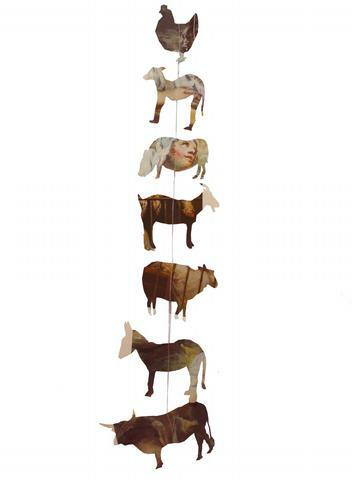 These animal mobiles have been made from recycled books. 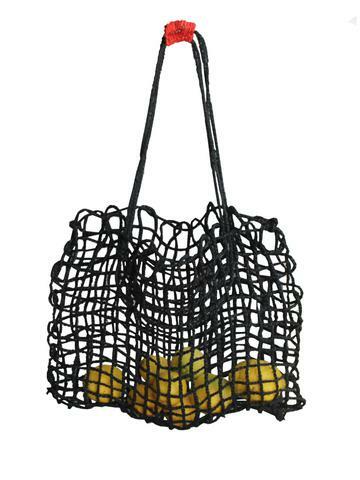 For a more practical gift you cant go past the traditional string bags. 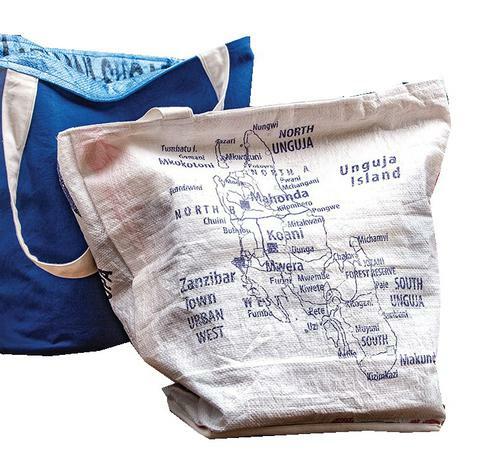 They are strong, stylish, sustainably made and a great way to replace plastic bags. Many people are now choosing to buy sustainable, ethical and upcycled products. Luckily there is now a fantastic range of eco products available for all tastes and ages. An ecofriendly gift idea for men is these upcycled wallets. 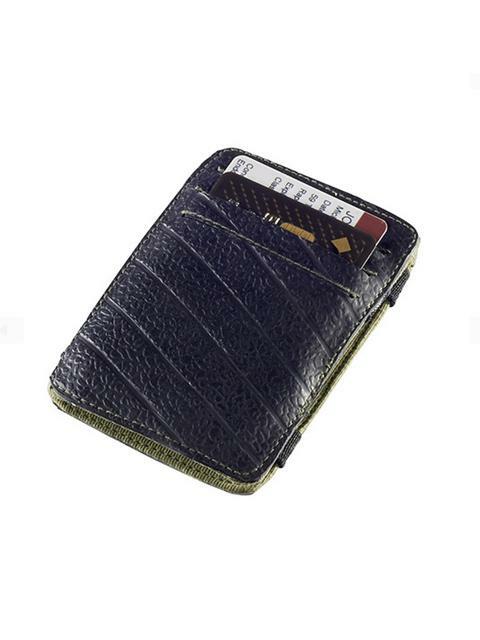 Made from recycled tyres the wallets are not only stylish they are strong and waterproof. 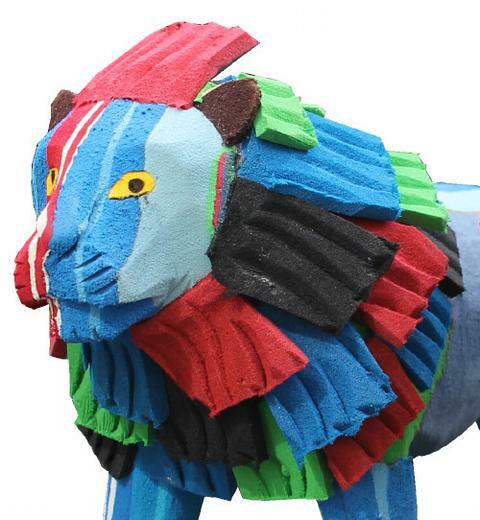 Amazing sculptures made from upcycled flip-flops are another brilliant eco gift idea. 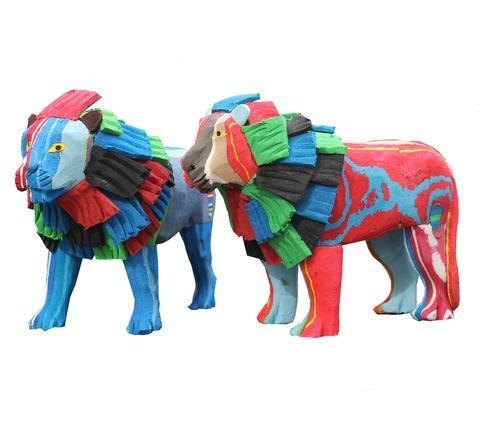 These brilliantly coloured hand carved animals are drawing attention to the problem of marine pollution. A lovely practical gift eco gift is these bags made from upcycled sails. The inside of the bags are lined with recycled rice bags making them easy to clean and perfect for both shopping and the family picnic. For someone who is concerned about the environment these journals are not only ecofriendly but they are helping to save elephants. 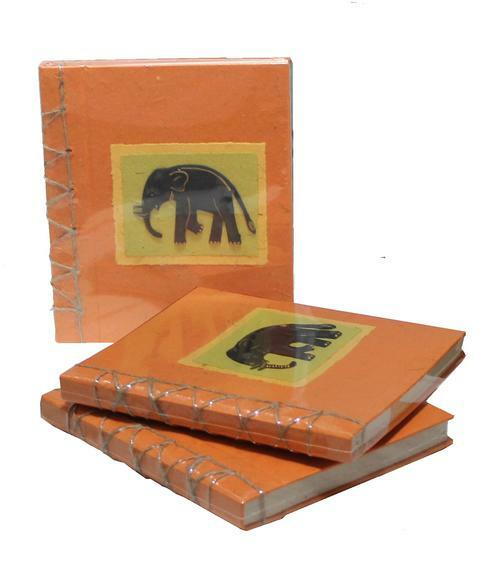 Made from a mixture of upcycled paper and elephant dung paper these lovely journals are a great eco gift idea that not only do good they will bring a smile to the recipients face. Thousands of flip-flops wash up onto the East African coast each year creating an environmental disaster. The plastic flip-flop pieces do not just spoil the natural beauty of the beaches and oceans but marine creatures swallow and suffocate on them and they stop turtle hatchlings from reaching the sea. They are another man-made menace to the earths fragile ecosystems. Flip-flops are made from a combination of Ethylene-Vinyl Acetate and other plastics and they do not biodegrade. They do however photo-degrade, breaking up into smaller and smaller pieces to form part of the plastic soup plaguing our oceans. Cheap flip-flop footwear is a common item found along Kenya’s shores as over 3 billion people world wide can only afford that type of shoe. With a lifespan of just two years the volume of discarded footwear rapidly adds up. Because of ocean currents an estimated 90 tons of flip-flops find their way to East Africa's beaches every year. Ocean Sole is turning the waste into brightly coloured sculptures, recycling as many as 400,000 flip-flops each year. Ocean Sole arranges for the collection of the flip-flops they are then cleaned then compressed into large solid blocks then, the artists, many of whom are former woodcarvers, carve the blocks into a variety of African and marine animals. 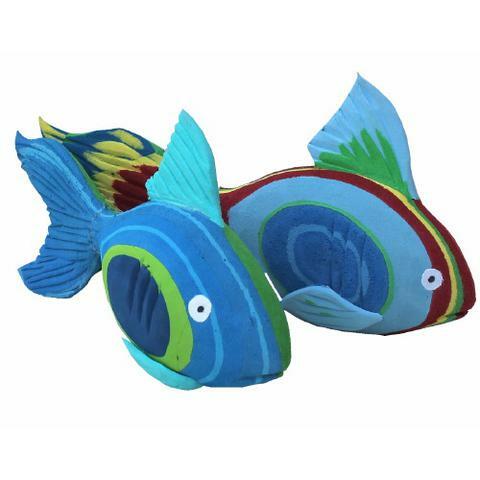 Ocean Sole’s creative team of artisans are not only transforming discarded flip flops into colourful masterpieces, they are drawing attention to the importance of marine conservation and the damage plastic waste is doing to our oceans. There's a lot of crap out there being sold and they pretend it's not crap. This environmentally friendly range of stationery was crap. 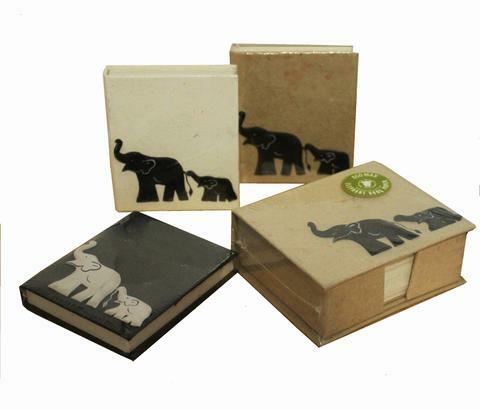 It is stylish, affordable recycled paper products that are unlike any other, they have been recycled through an elephant! 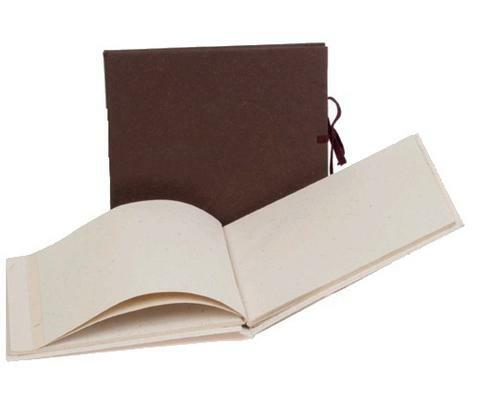 Yup, our eco-friendly notebooks and journals are made entirely from an environmentally responsible source, elephant poo. First the dung is sun dried and then sterilized by boiling it at 120 degrees in a sealed high-pressure boiler. The pulp is then mixed to break up the fibers. Recycled office waste is then added for consistency, before being spread on to submerged screens to create sheets of paper. 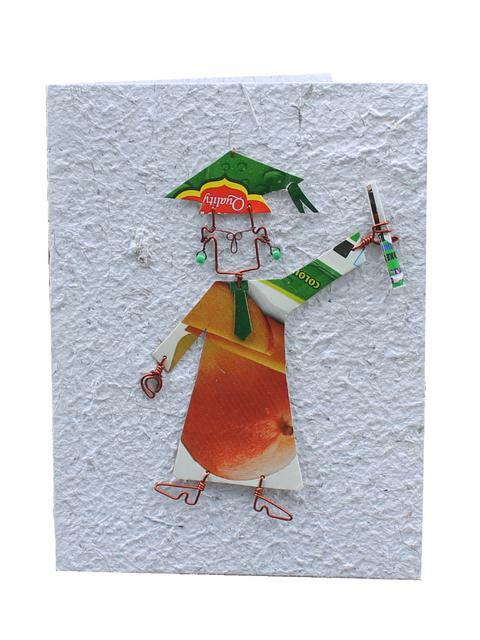 No bleaches or acids are used in the production of the paper with salt dyes used to create the beautiful colours. Made in Sri Lanka where there is need for employment in rural areas and for the conservation of the endangered Sri Lankan elephant the production of the paper directly contributes to the villager’s income and a percentage of the profits go to the Millennium Elephant Foundation which provides a home for ex-working and orphaned elephants, holiday care for working elephants as well as a mobile veterinary service. The resources on this planet will not last forever and so many materials otherwise seen as rubbish can be used to create new functional and tasteful products. 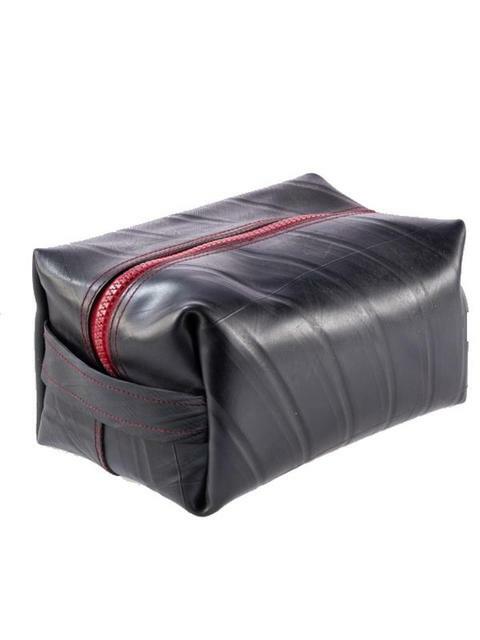 Our upcycled wallets and toiletry bags are made in Australia using recycled tyre inner tubes- each item is unique and handmade. Upcycling is becoming increasingly popular among people who are concerned about waste and its impact on the natural environmnet. These upcycled bike tube wallets and bags have been developed for people who want stylish and functional wallets but do not want them at the expense of the environment. Upcycling is a more environmentally friendly way of recycling –a new purpose is found for unwanted items rather than throwing them away. It’s all about taking disposable things and creating something useful from them. 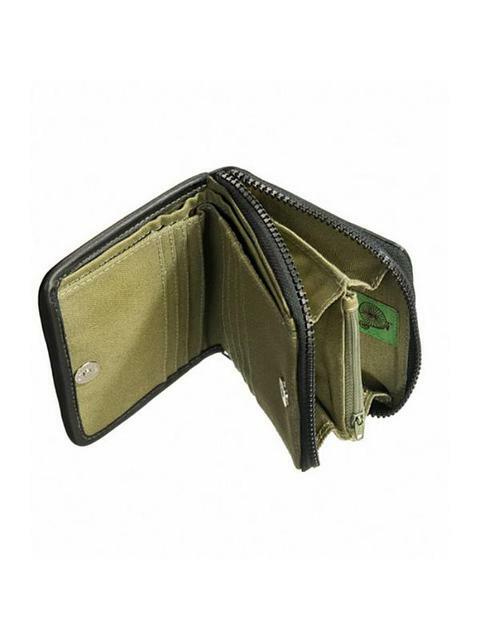 These upcycled wallets are made from the softest inner tube material available with a cotton inner lining. 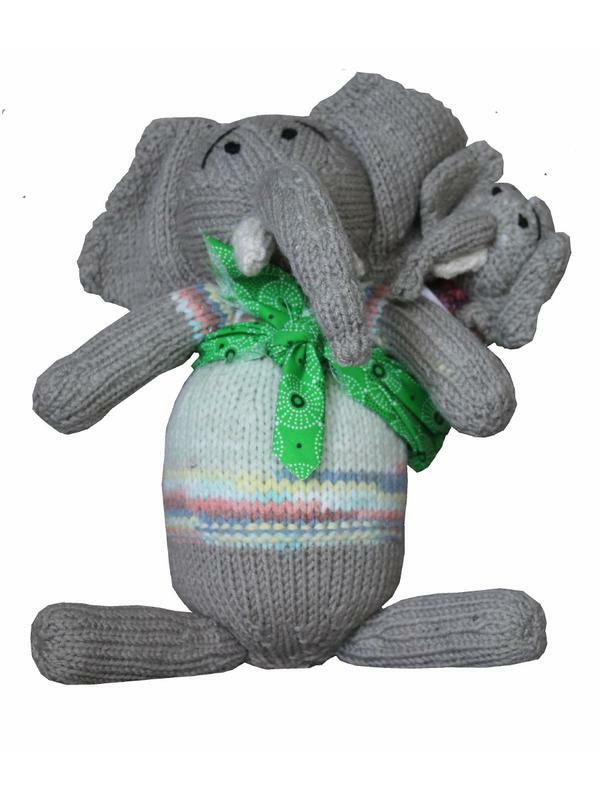 The collection of mama and baby animals is from the talented makers of GoGo Olive in Zimbabwe. 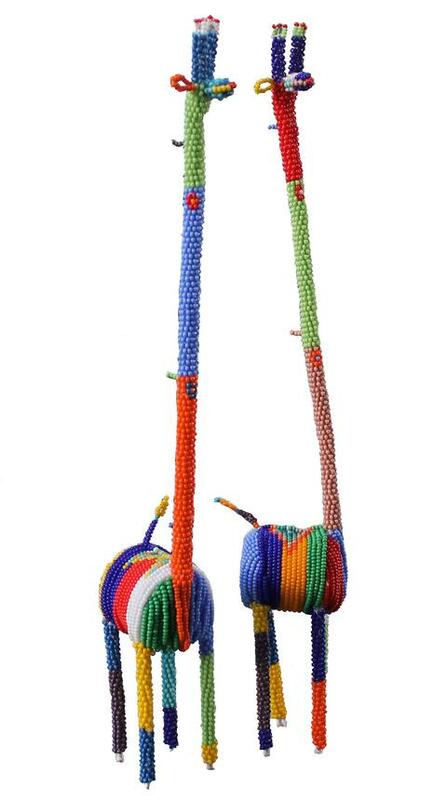 Just as mothers traditionally carry their babies tied on their back so do these sweet handmade African animal mamas. 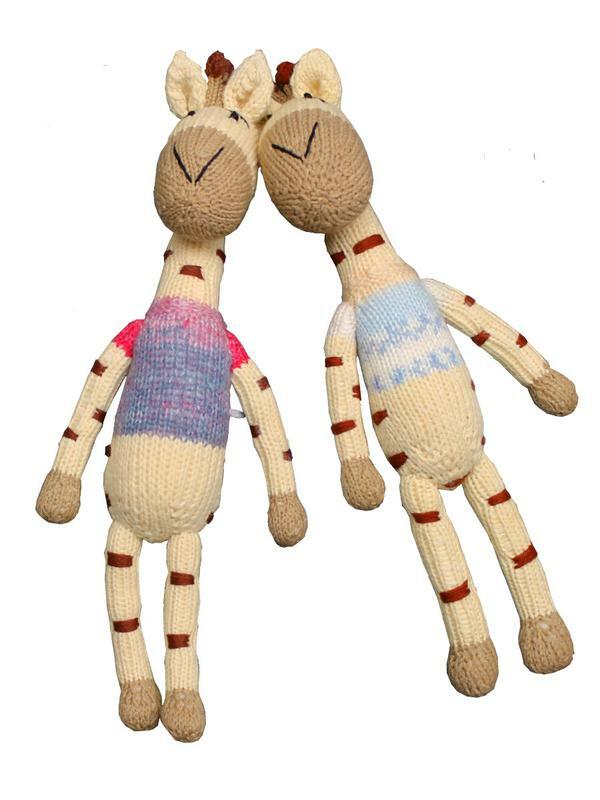 These gorgeous mother and baby soft toys are knitted by the artisans of Gogo Olive in Zimbabwe. 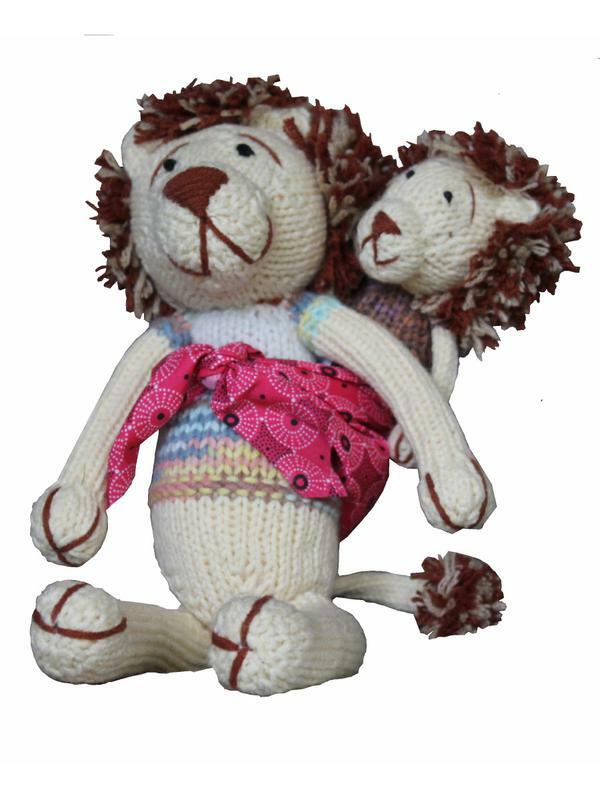 Shumba means lion in Shona and each mother and baby Shumba have been given a name which is attached with a swing tag along with the story behind these beautiful hand knitted toys. 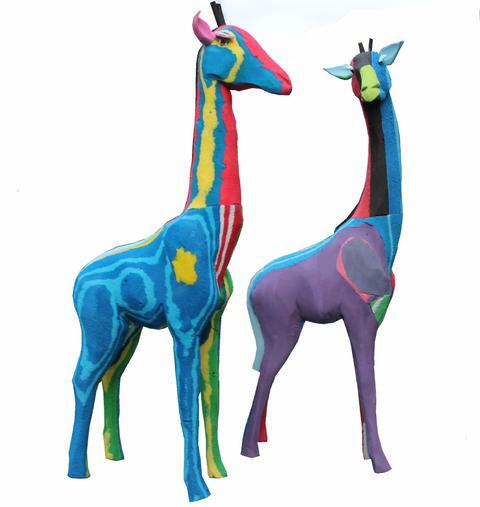 Each Daddy twza, twaza means giraffe in Shona, has a different coloured jumper making each and every one of these superbly made toy giraffes unique. Nzou means elephant in Shona and these mother elephants and babies will soon become a childs best Shamwari (friend). Gogo Olive is an organization that was set up as a response to the huge unemployment problem in Zimbabwe. 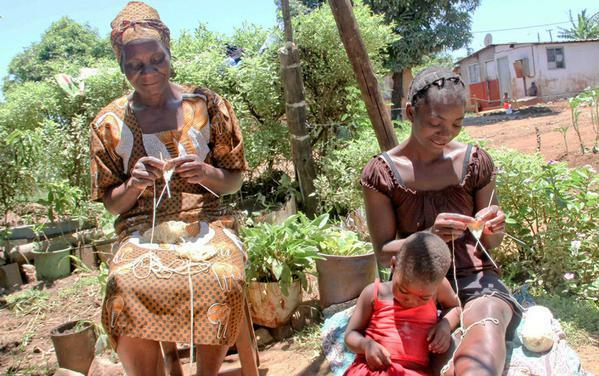 The women who make the toys are able to earn money from the sale of them to help support their families. 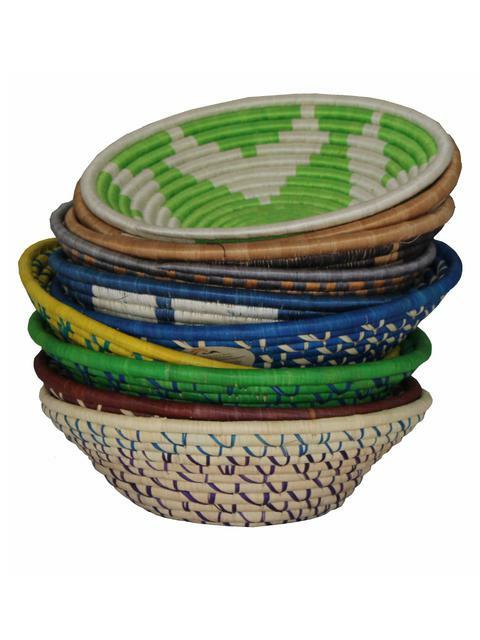 African baskets have become a favourite among people who value unique artisan made decor items. Whether they are chosen for a traditional or contemporary home or even a commercial setting the hundreds of different designs and colours, different weaving styles and materials used mean there are baskets that appeal to all tastes and budgets. All African baskets have one thing in common they are a reflection of the cultural identity of the artisans who make them and involve highly skilled craftsmanship . 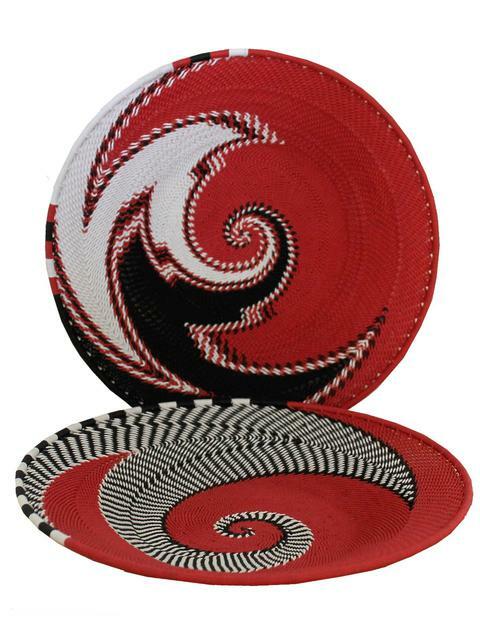 Woven baskets made from natural materials are the most familiar of African baskets. They vary in size, texture and weaving style. 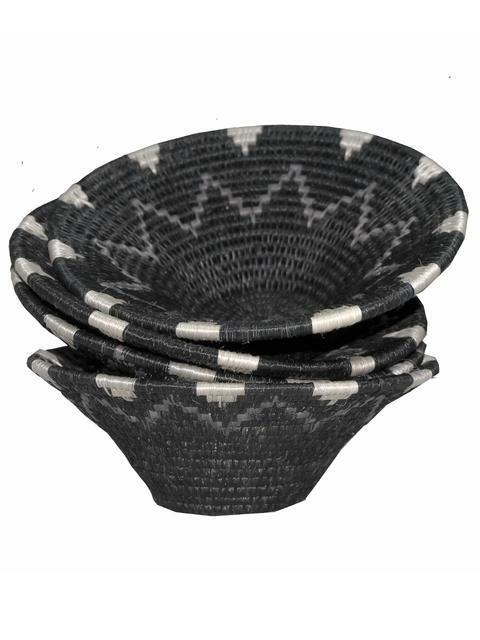 One of the most popular baskets are those using dried grasses skilfully woven by hand using traditional weaving skills that have been handed down from generation to generation. 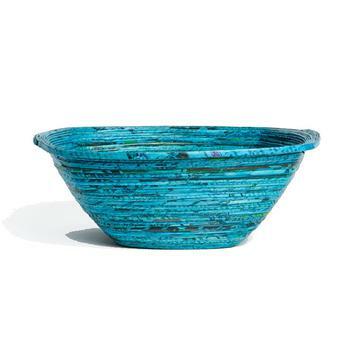 In some African countries such as Rwanda, the materials are dyed in a myriad of colours before weaving. The designs are still traditional but the colours that are chosen now suit more contemporary settings. These sturdy baskets are very versatile and have many different uses such as a fruit bowl, a bowl that holds a collection of natural treasures such as little pine cones or simply as a eye focusing decor piece. Not only are African baskets a lovely addition to homes and commercial spaces the purchase of these items benefits the artisans and communities in which they are made. The sales of these baskets provide a dignified living for the weavers who often live in remote and rural areas where there is high unemployment and the sales of the baskets also ensure that these wonderful weaving skills are preserved . 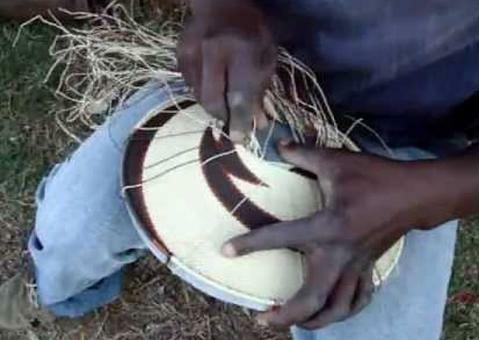 African artisans are renowned for their creativity and skill. and some of the most endearing works are the intricate wire and beadwork pieces. 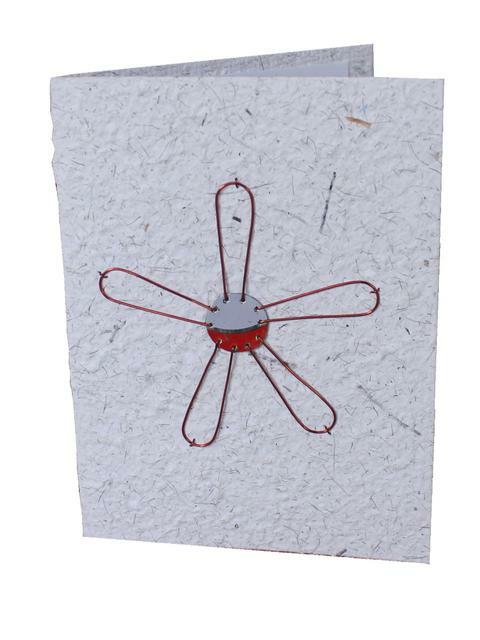 Beaded wire art is a contemporary art form based on traditional South African beadwork skills. It is a very time consuming and detailed craft. 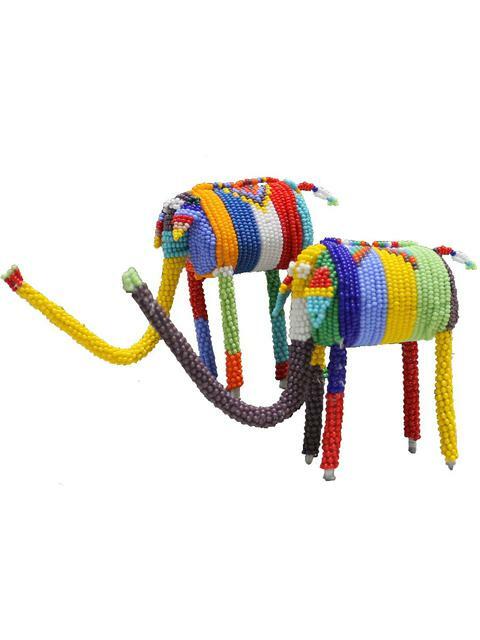 The shape is first made with wire, thousands of glass beads are then threaded onto wire and wrapped around the frame to form quirky and colourful art pieces . 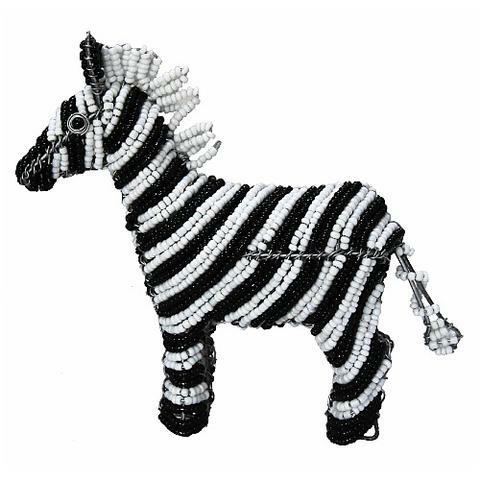 The range of wire and bead artwork varies from small keyrings and fridge magnets to amazing rainbow coloured giraffes! 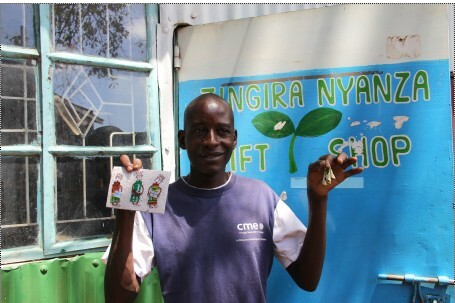 By using recycled paper and invasive species such as water hyacinth and papyrus from the wetlands around Lake Victoria in Kenya local artisans are creating fantastic handmade environmentally friendly greeting cards . This initiative is not only earth friendly its people friendly. It is helping to clean and protect the environment by recycling, by using invasive plants and it is enabling the crafts people to earn a decent and fair wage in the process. 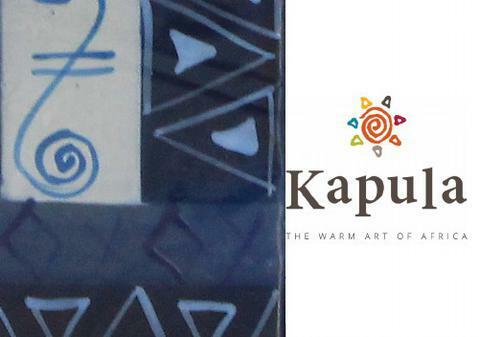 Kapula Candles is a Fair-Trade organization which incorporates fine craftsmanship in all their products reflecting South Africa’s positive creative energy. Their handcrafted candles brighten any environment. 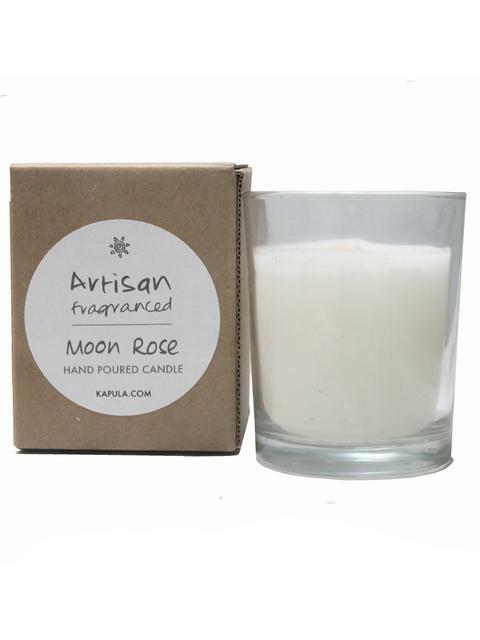 Kapula Candles range includes beautifully perfumed handmade candles in a gift box. Perfumed candles are always well received as a gift and these candles are sure to please. 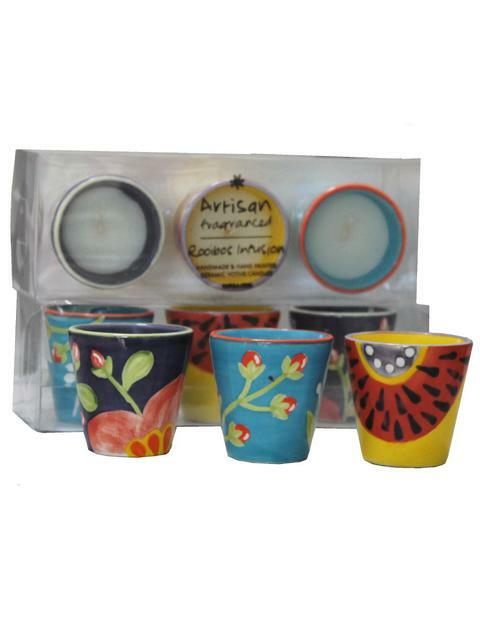 This set of perfumed votive candles in delightful hand painted ceramic containers are a lovely addition to any kitchen and the containers can be reused again and again. 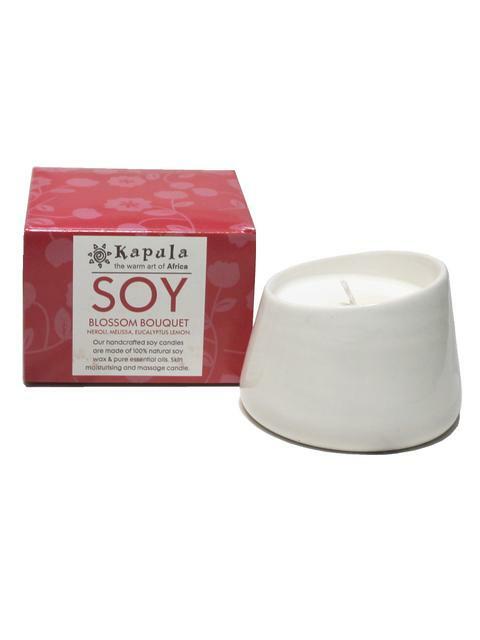 Kapula also make a stunning collection of perfumed soy candles which are hand poured from the finest renewable soy waxes giving a clean long and eco-friendly burn.